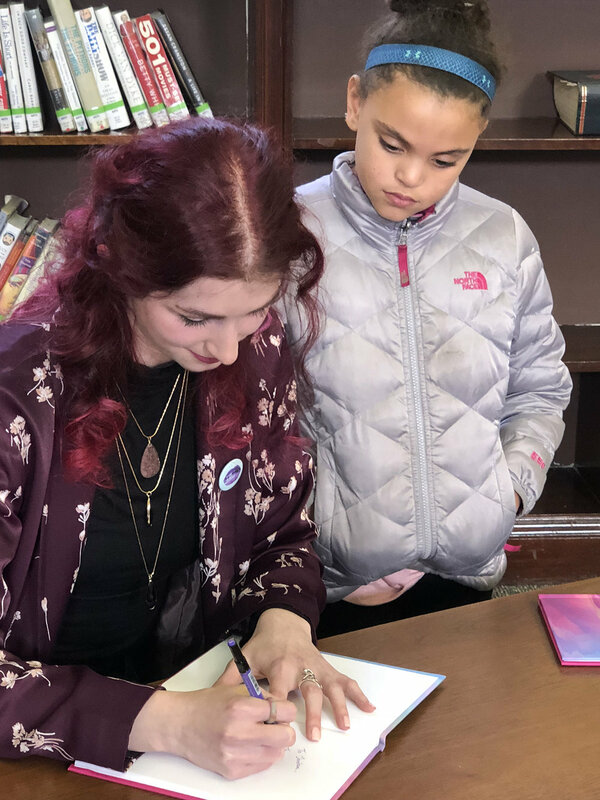 Geena Matuson "The Girl Mirage" with loving audience at her book reading and signing for first book "Dadalectic: Waking Dream" held at Medfield Public Library, March 2018. See more @ http://dadalectic.com. I'm feeling confident right now, haha. 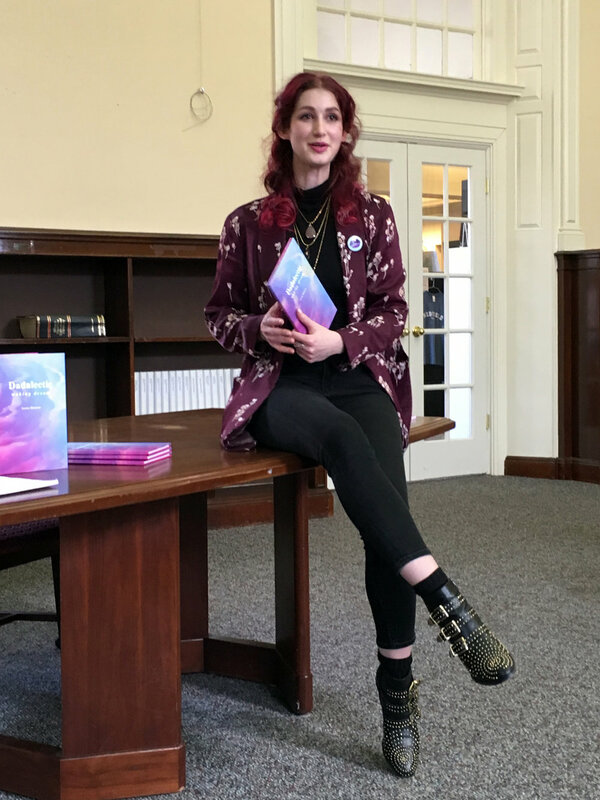 The hour flew by - I first spoke about self-publishing and "how I did it," then directed people to my newsletter so I could send information about my self-publishing research. Basically - I self-published to learn more about self-publishing! Just a few quick cellphone photos from my Book Reading & Signing for my first book "Dadalectic" to tide you over! 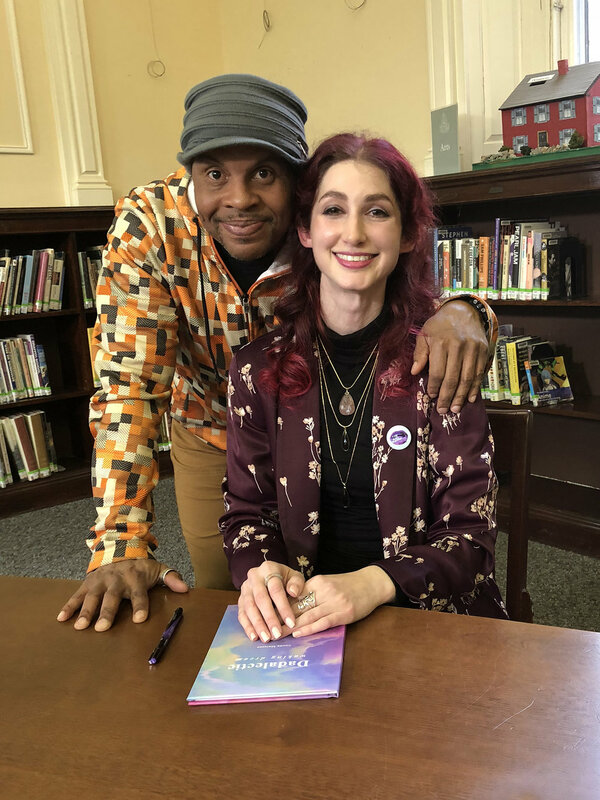 We have a few more photos from photographer and journalist Laura Drinan from Hometown Weekly News coming our way, guys ;) Thanks again for being there and supporting me - a local artist-writer-filmmaker-designer-etc. !